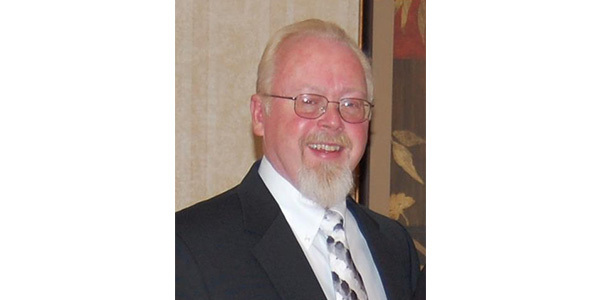 The Michigan Automotive Parts Association (MAPA) has selected Gary Deuling, owner and president of Hart Automotive Supply located in Hart, Michigan, as the recipient of its 2019 MAPA Lifetime Achievement Award. Created in 2010, the MAPA Lifetime Achievement Award is designed to honor the excellence of individuals in the automotive aftermarket industry who have made significant impacts in the industry and/or the association. The recipient must have had an extensive career in the industry, contributed significantly to the automotive aftermarket industry in Michigan and made accomplishments within his or her local community. MAPA says Deuling has exemplified a lifetime commitment to the automotive aftermarket over the past 46 years. His passion to stay involved and to give back to the Industry is unmatched. Deuling invests most of his time supporting the success of the independently owned automotive parts store owner, parts manufacturer and warehouse distributor, and he is proudly supported by Michigan Automotive Parts Association. Deuling started in the automotive business in 1973 as an outside salesperson for a two-store NAPA Auto Parts owner. He was quickly promoted as a store manager in Fremont, Michigan, and advanced to operations manager for a five-store NAPA independent group in 1987. Deuling became a business partner and owner and assumed full ownership of two stores located in Hart and Shelby, Michigan, in 1993. He has been an active auto parts store owner and has been recognized by NAPA With the Five Star Excellence award for six years. The NAPA Five Star Award recognizes excellence in training, marketing, wholesale and retail growth and community involvement. Deuling has always been an industry leader and was one of the first parts stores to offer delivery service to wholesale accounts and opening seven days a week to support his local market needs, according to MAPA. His commitment to giving back and involvement in both his community and the aftermarket is extensive and includes NAPA Business Advisory Boards in Heavy Duty, Advertising and Tools & Equipment; elected in 1995 to the MAPA board of directors, 21 years served on the MAPA Board; Elected as the first board member to have served as chairman for two terms; and Newly elected first-time honorary lifetime board of directors member. In addition, he has made many visits to the Lansing State Capitol to advocate for the aftermarket. Deuling admits he has been diagnosed with “Terminal Raised Hand Disease” and says he will not say no. A genuine person who believes in God, family and community first, Deuling’s commitment to community includes Fremont Chamber of Commerce board; co-chair Fremont Old Fashion Days; co-chair Grant Summer Celebration; chair first Street Car Show; Fremont Downtown Retailers Group; Shelby Chamber of Commerce, Advisory Board of the Automotive Newaygo County Career Tech Center, Newaygo County Compassion Home fund Raiser; and Trustee and moderator of the First Congregational Church, just to name a few). The MAPA Lifetime Achievement Award will be presented to Deuling during MAPA Industry Day 2019 on Wednesday, Sept. 11th at the Holiday Inn Gateway Centre in Flint, Michigan. Presenter of the award will be John Sedlecky, general manager of NAPA Distribution Center in Grand Rapids, Michigan.